An analysis of the impact of inward investment on the competitiveness of indigenous firms, Multinational Enterprises and Technological Spillovers draws on evidence from the UK and Italian manufacturing sectors to show how foreign presence may generate both virtuous and vicious circles of development according to a number of interrelated factors. These include the level of the foreign presence, its rate of increase, the technological disparities between foreign and indigenous firms and the political response. 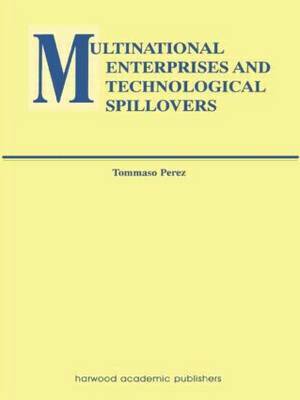 An examination of the productive and innovatory activities of US and Japanese firms in Europe is also provided to enlighten the differential role of European countries in the global operations of overseas multinationals.